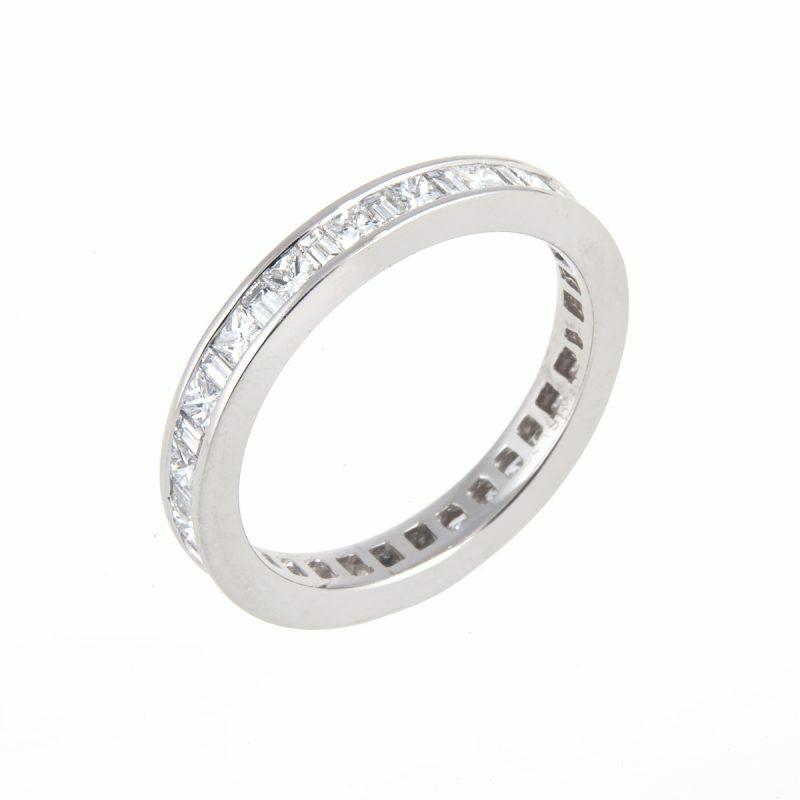 Platinum alternate princess and baguette cut diamond full eternity ring mounted in a channel setting. 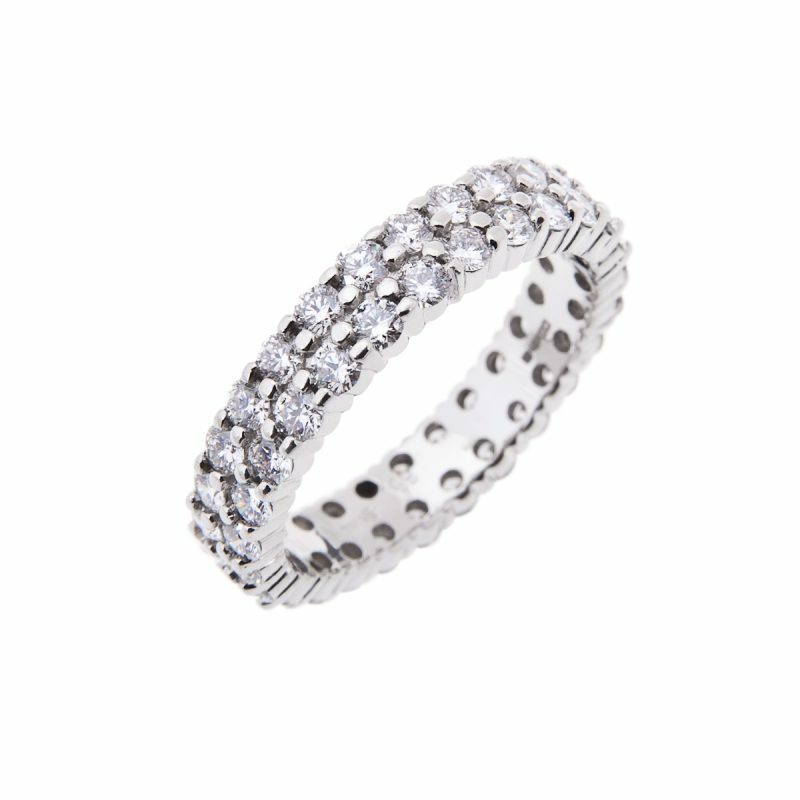 This beautiful ring is perfect as a wedding band, eternity ring or dress ring. 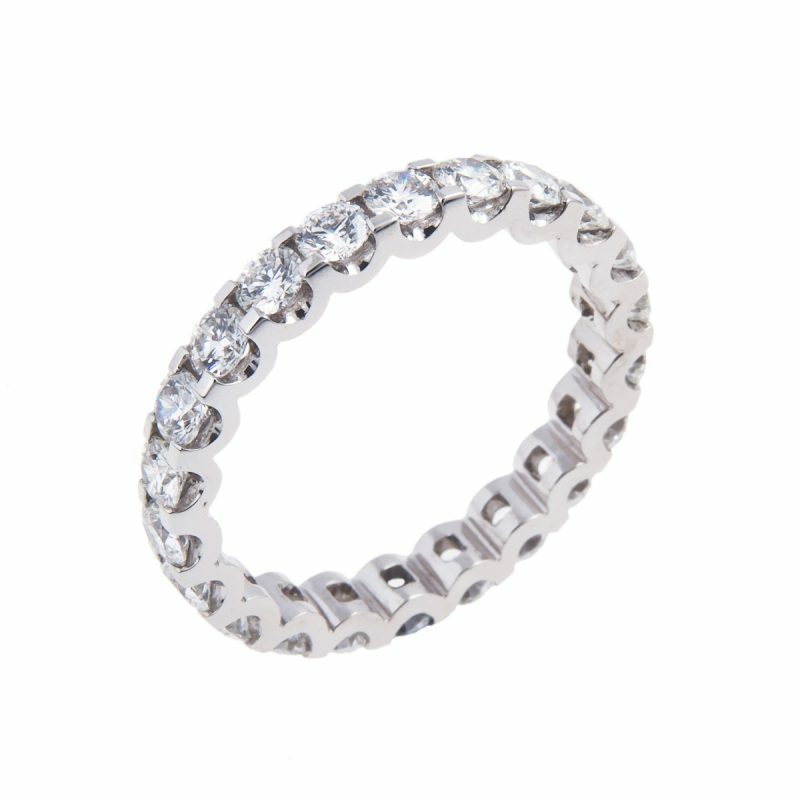 The eternal circle, the ancient symbol of love created in diamonds and platinum. 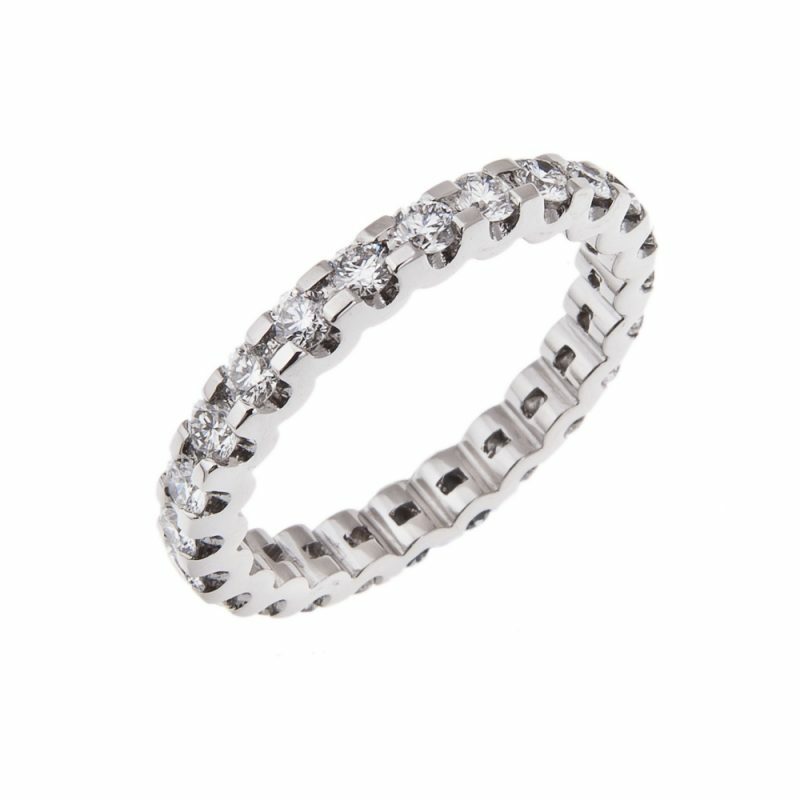 The smoothest of channels, securing sparkling stones, spinning their magic.